Teens in grades 7-12 are invited to attend the Foreign Films and Food series. Each month we will watch a film from a different country and try traditional dishes and snacks from that country. 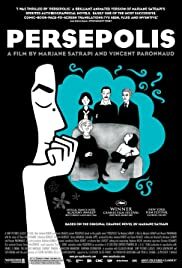 This month we will watch the award-winning 2007 French/Iranian movie Persepolis. Marjane is precocious and outspoken young Iranian girl who was nine years old during the Islamic Revolution when the fundamentalists first take power--forcing the veil on women and imprisoning thousands. She cleverly outsmarts the "social guardians" and discovers punk, ABBA and Iron Maiden, while living with the terror of government persecution and the Iran/Iraq war. Then Marjane's journey moves on to Austria where, as a teenager, her parents send her to school in fear for her safety and, she has to combat being equated with the religious fundamentalism and extremism she fled her country to escape. Marjane eventually gains acceptance in Europe, but finds herself alone and horribly homesick, and returns to Iran to be with her family, although it means putting on the veil and living in a tyrannical society. After a difficult period of adjustment, she enters art school and marries, continuing to speak out against the hypocrisy she witnesses. At age 24, she realizes that while she is deeply Iranian, she cannot live in Iran. She then makes the heartbreaking decision to leave her homeland for France, optimistic about her future, shaped indelibly by her past. Rated PG-13. 1 hr 36 min. Movie starts promptly at 3:00 p.m.
Justine Micalizzi, Senior Health Outreach Coordinator at Wheeler Clinic, will be at the Health table in the Tween area Monday mornings and Wednesday evenings. Ms. Micalizzi is available to offer behavioral health information and help you connect with relevant local services. If you would like to speak with her in private please call 860-414-1235 or email jmicalizzi@wheelerclinic.org. This is a drop-in program. No registration required. Learn the risks of alcohol use and the impact on the developing brain with Heather Clinger, MPH,CPS Program Manager at Wheeler Clinic. Little Foodies offers a gastronomic twist on storytime and a craft for kids aged 2-6 and an adult. Calling all otaku! Join us Thursday afternoons to watch new episodes of both classic and new anime. Back by popular demand! Pajama Jam is a drop-in evening storytime for the whole family. Join us as we will sing, dance, move, groove, and listen to some stories. Wearing pajamas is encouraged. Stuffed animals are welcome to attend with their favorite child. This is a FREE drop-in program for all ages. No registration is required. The Southington Public Library welcomes Cheshire/Southington Probate Judge Matthew Jalowiec monthly at open public forums in the library meeting room. The public is invited to the free “Ask the Judge” forums. Check the Calendar for more dates. Judge Jalowiec will be available for approximately an hour in which the general public can ask all sorts of Probate questions. The Judge cannot give specific legal advice; all his responses will be procedural in nature and contain a general overview of the law. The Southington Public Library welcomes knitters and crocheters to “Southington Sassy Skeins” a free and open meetup where we help each other with our knitting or crocheting challenges whether you're a beginner or advanced. If you are a novice the library has a small supply of yarn, needles, and hooks to get you started. This storytime will engage 2 to 6 year olds (along with their favorite grownup and siblings) with stories, iPad apps, music, movement, and activities related to science, technology, engineering, art, and math. Please register in-person at the Children's Desk. Acclaimed Connecticut paranormal author, Sydney Sherman, continues her successful book tour throughout New England, sharing her life experiences and book, You Are Not Alone: Our Loved Ones Are Here…You’re Just Not Listening. Ms. Sherman encourages all of us to consider the possibilities of connecting to the other side. Sherman’s book outlines her passage from confusion to the acceptance of her relationships with the many spirits who inhabit her everyday world. The book goes beyond a simple biographical story of a medium. Frustrated with media sensationalism and misinformation about the afterlife and contact with spiritual entities, Sydney decided to “come out” with her secret. Sydney Sherman believes we are meant to share the advantage of contact with our “peeps.” With her book and speaking engagements, thousands have learned how to connect and benefit from the guidance and protection of their own loved ones. Sherman has intrigued audiences with her personal knowledge of energy, spirits and the afterlife and has been featured many times in the media. For anyone who has ever wondered about the paranormal, Sydney Sherman and her book are a must. Do you enjoy reading science fiction, fantasy, and the like? Are you always looking to talk to people about what you've read? Join us for our inaugural meeting of Southington Library's new book club, Out of This World. This month we will discuss Neil Gaiman and Terry Pratchett's comedic fantasy Good Omens: The Nice and Accurate Prophecies of Agnes Nutter, Witch. Copies of Good Omens will be available at the Circulation Desk beginning April 3. The Out of This World Book Club meets at 7 P.M. on the first Wednesday of every month in the library's community room on the lower level. All interested adults and teens are welcome to attend, but registration is required. Please contact Lynn Gardner, 860-628-0947 x5, if you have questions. Children aged 2 to 6 and a grown up are invited to join us for an artistic exploration of a beloved children’s book character. The children will listen to a story, and create craft. In person registration is required. Babies under 12 months and their caregivers will listen to a story, pose for an Instagram photo in a themed background, and participate in free play. Star Wars Day? Celebrate, you must! Kids of all ages are invited to make a Smarties Lightsaber in honor of Star Wars Day. Drop in today anytime between 10:00 a.m. -- Noon and 3:00 -- 4:30 pm. Two-gether Tales, a storytime for 2-3 year olds, will be held on Mondays at 9:30 or 10:30 a.m. This storytime meets for five dates starting May 6th, and continues May 13th, 20th, June 3rd & 10th. (The library is closed on Monday, May 27th for Memorial Day). Though this class meets on each date twice, children may only register and attend one time slot. Siblings are welcome to attend with registered children. Read, Rock & Rhyme is a storytime for 10 to 24 month olds, and will be held on Tuesdays at 9:30 a.m. This Storytime meets for five sessions at 9:30 a.m. starting May 7th, and continues May 14th, 20th, 28th & June 4th. Siblings are welcome to attend with registered children. Budding Bookworms, a storytime for 3 1/2, 4 and 5 year olds, will be held on Tuesdays at 10:30a.m. This storytime meets for five dates at 10:30 a.m. starting May 7th, and continues May 14th, 20th, 28th & June 4th. Children must be ready to attend this class independently while caregivers remain in the library. Popular presenter Carole Shmurak returns to the Southington Public Library with a three-part mystery series featuring crime-solving clergy. Father Brown by G.K. Chesterton was probably the first clergyman-detective (1911), but there have been many since then. Most clerical mysteries deal with issues such as mercy vs. justice, forgiveness vs. punishment, and faith vs. reason. 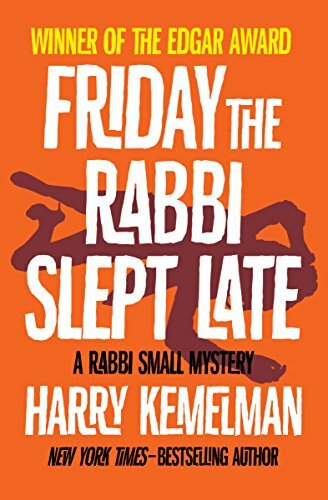 The following books are from some of the more popular series..
David Small, the new rabbi in a small Massachusetts town, is a shy young man who is often at odds with his congregation. To add to his problems, a dead body is found in the temple parking lot and the rabbi is on the shortlist of murder suspects. In order to exonerate himself, he must use his analytic skills and rabbinic wisdom and collaborate with the Irish-Catholic police chief to find the killer. In an upstate New York town, newly ordained Clare Fergusson - the first female priest of the local Episcopal church - finds that her forthright manner gets a chilly reception from some members of her congregation. 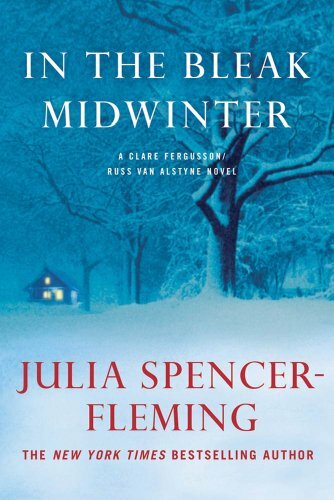 When a newborn baby is abandoned on the church stairs and a young mother is brutally murdered, Clare needs all her faith, tenacity, and courage to find her way through the town’s secrets, and to resist the growing attraction between her and the married police chief. Registration for this program is required and will open on Tuesday April 9th. Please register at southingtonlibrary.org by clicking on the Calendar of Events or call the Reference Desk at 860.628.0947 option 5. May’s book selection will be available to pick up at the circulation desk beginning April 9th. The Friends of the Library will be selling new and gently used ink stamps. $5 and under. All ages are invited to drop in and make an ice cream tower card on Saturday, May 11th, anytime between 10:00 a.m.—Noon and 3:00 — 4:30 p.m. Share a summertime treat that won’t melt! Southington COPES is a community support group created by veterinary volunteers from Southington to help ease the sense of loss when a pet passes. Come share your memories of your pet in a quiet group setting. 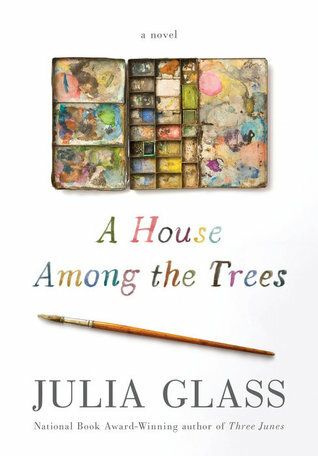 Join in a lively discussion of A House Among the Trees written by 2019 Southington Reads author Julia Glass. Come and discuss your favorite books and get recommendations from fellow reading enthusiasts! Find out about upcoming books by your favorite authors and discover hidden gems. Do you enjoy browsing through cookbooks and trying new recipes? Do you enjoy tasting new dishes? Then grab your apron and join Southington Library's cookbook club, Cooking the Books! Check out a Southington Library cookbook, magazine, e-book on May's topic, Famous Chefs/Celebrity Cookbooks, and then spend some time experimenting with it. Come to the program on the date posted, ready to share a dish and discuss your experience. If your experiments yield disastrous results, that's okay! Bring it along, anyway! Participants are encouraged to go green – please bring your own plate, utensils, and serving spoon. Dishes should arrive ready to eat as there is no kitchen facility on hand. Extension cords and outlets are available for slow cookers. Please also bring 10 copies of your recipe to share. Everyone who attends will receive a binder to store their cookbook club recipes. Attention all veterans, please join us for a coffee hour just for you. The Southington Public Library and the Southington Veterans Committee will be hosting this coffee hour for discussion and meeting other veterans. Representatives from the Veterans Committee will be there to answer any questions that they can address. No registration required. We are working on the details for this event. Please stay tuned for more information. This month we will be discussing what we have been reading recently. Bring a list of favorites to talk about or come and get some suggestions from the group for your next great read! The Out of This World Book Club meets to discuss Martha Wells' award-winning novella, All Systems Red, the first volume in The Murderbot Diaries. The Out of This World Book Club meets at 7 P.M. on the first Wednesday of every month in the library's community room on the lower level. All interested adults and older teens are welcome to attend. Copies of All Systems Red are available at the Circulation Desk. Father Brown by G.K. Chesterton was probably the first clergyman-detective (1911), but there have been many since then. Most clerical mysteries deal with issues such as mercy vs. justice, forgiveness vs. punishment, and faith vs. reason. Registration for this program is required and will open on Tuesday May 7th. Please register at southingtonlibrary.org by clicking on the Calendar of Events or call the Reference Desk at 860.628.0947 option 5. June’s book selection will be available to pick up at the circulation desk beginning May 7th.